government by a responsible and independent board that reviews the annual financial statements. submission of an annual audit performed by an independent certified public accounting firm in accordance with GAAS and financial statements prepared in accordance with GAAP. controls exercised to provide assurance that all resources are used in conformity with applicable federal and state laws and regulations. provision of current financial statements and disclosures upon written request. avoidance of transactions involving conflicts of interest. 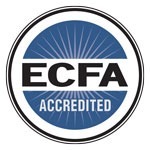 compliance with each of the seven ECFA standards for fundraising. We value our relationship with our friends and partners and are grateful for the funds that have been entrusted to us. We strive to exercise good stewardship at all times by using those gifts wisely and effectively to further the kingdom of Jesus Christ in rural India, Sri Lanka and Nepal. In fact, we are committed to investing at least 85% of every dollar in kingdom work with only 15% of designated contributions used to cover overhead expenses.